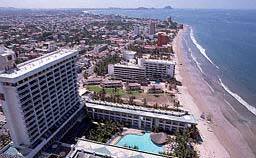 Mazatlán is situated on the Pacific Coast of Mexico, almost directly across from the tip of the Baja peninsula. 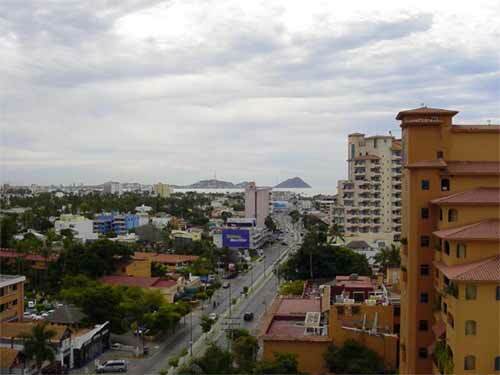 Mazatlán has its own airport, as well as ferry service to La Paz. 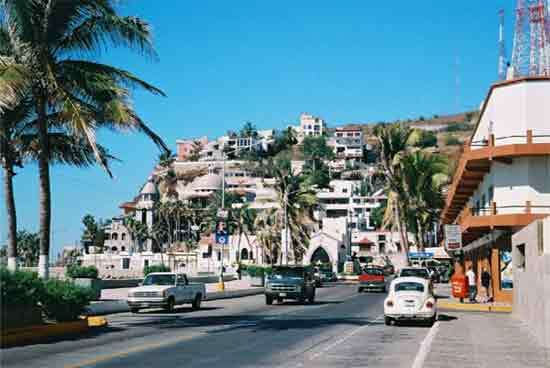 See the getting here section for more information regarding how to reach Mazatlán. Set at the foot of the Sierra Madre Mountains on a peninsula that extends into the Pacific Ocean, Mazatlán is one of the Mexican Rivieras premier resort areas. Its remarkable scenic beauty is complemented by a delightful festive atmosphere and a wealth of exciting activities. Although Mazatlán is one of Mexicos most popular vacation destinations, it has another identity as the largest port in Mexico, with a bustling economy independent of the tourism industry. 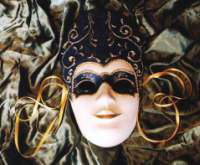 This duality adds an interesting cosmopolitan flavor to this unique city that you are sure to savor. Because it was a city long before it became a beach resort, Mazatlan is less touristy than some of its neighbors on what the cruise industry calls the Mexican Riviera. Places like Puerto Vallarta and Los Cabos, which like Mazatlan are ports of call on the cruise ship circuit, were tailor-made as resort developments. Mazatlan on the other hand is a city that discovered it had a beach out front and became a resort almost as an afterthought. 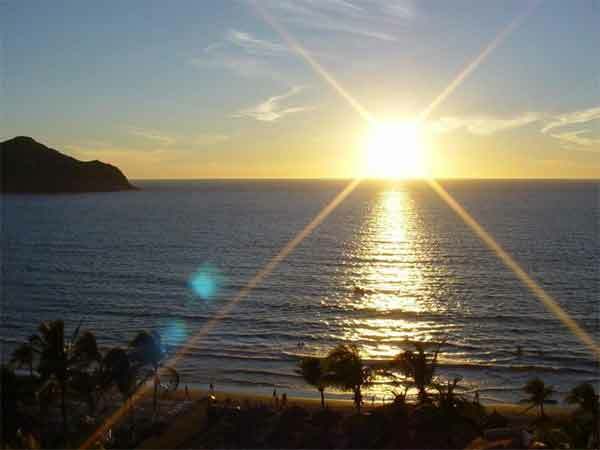 Because of its lengthy focus on industry, Mazatlan came late to the discovery that its miles and miles of sand beaches offered an asset that had never been exploited: a prime tourist attraction. The first couple of hotels, in the area of Old Mazatlan called Olas Altas, served primarily as lodging for sports fishermen from the U.S. and Canada. Then around 1955, an American named Ulysses S. George built a hotel a few miles north of town, just beyond Camaron (Shrimp) Point. The owners of the Hotel Playa Mazatlan started publicizing their resort and more and more tourists began to arrive. Most of the tourist facilities, the hotels and restaurants, grew up around the original development and to the north of it. The City is concentrated in two areas: In the north, there is the Zona Dorada (Golden Zone) where the majority of hotels and restaurants are located. In the south there is El Centro (downtown) where the heart of the city is. These two centres are linked by Avenue Del Mar, also known as the Malecón, which is a scenic beach-front avenue that bridges the gap between the two areas. Paseo Olas Altas and then becomes Paseo Claussen parallel to the commercial downtown area. The name changes to Avenida del Mar at the beginning of the Playa Norte area, where several moderately priced hotels are located. About 4 miles north of downtown lies the Sábalo traffic circle in the Zona Dorada (Gold Zone) near the Punta Camarón, a rocky outcropping over the water. 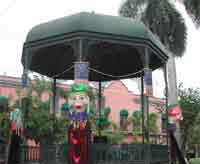 The Zona Dorada begins where Avenida del Mar intersects avenida Rafael Buelna and becomes avenida Camarón Sábalo, which leads north through the abundant hotels and fast-food restaurants of the tourist zone. From here, the resort hotels, including the huge El Cid Resort complex, spread northward along and beyond Playa Sábalo. The new Marina Mazatlán development has changed the landscape north of the Zona Dorada considerably, as hotels, condo complexes, and private residences rise around the new marina. North of here is Los Cerritos (Little Hills), the northern limit of Mazatlán.